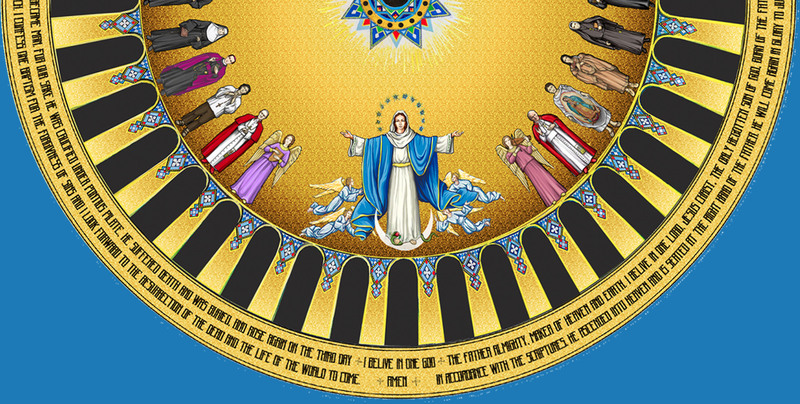 View the materials that are available to help promote and conduct the Trinity Dome Collection, a special one-time national collection to complete the Basilica of the National Shrine of the Immaculate Conception – America’s Catholic Church. The crowning jewel of the Basilica of the National Shrine of the Immaculate Conception. The background of the Basilica of the National Shrine of the Immaculate Conception, the largest Roman Catholic Church in the United States.